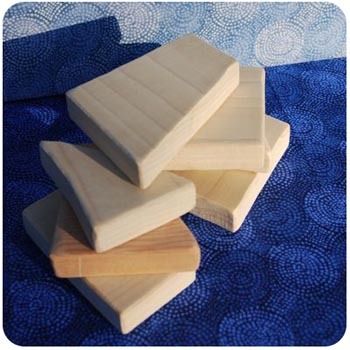 Make wooden building blocks easily out of scrap wood and you'll save a bundle of money! Steer clear of those perfectly same sized cube block sets. Ask any young builder...they just aren't much fun. 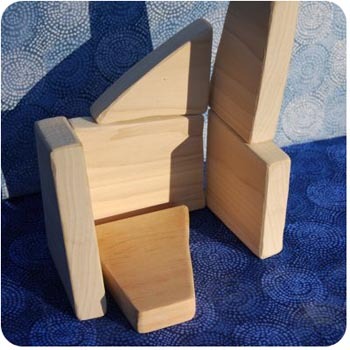 A block set made out of scrap wood, in different sized blocks and shapes will ignite any child's building imagination. After all, look at houses and architecture around you, can you build it out of block cubes? Nope. Well okay, maybe a boring skyscraper, but otherwise you need angles, assorted shapes in assorted sizes. We don't live in a perfectly cubed world! 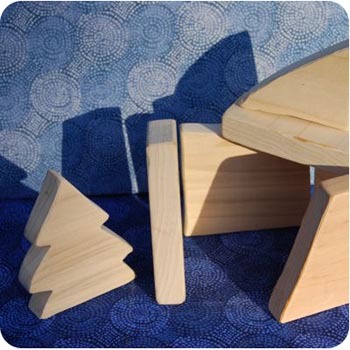 To make wooden building blocks you can simply cut up your own scrap wood that you'll wind up with from your other wooden toy making projects. If you aren't a woodworker (now is a good time to start being one) you can also obtain scraps from someone who does work in wood. You can also check out your local lumber yard's scrap bin. In smaller towns you might be able to get scraps for free...but for those of us in bigger cities where nothing good is free you can still get scraps for under a few bucks. When obtaining scraps, please be sure to avoid pressure-treated wood whatever you do. It will usually look slightly greenish/grey and may be heavier than the other woods. When in doubt, ask a worker about the different woods in the bin and mention that you need to avoid anything treated because you are making toys. Pressure-treated wood is basically infused with chemical preservatives (there are different chemicals used now, but the worst one used is arsenic) to make them more insect and rot resistant. Cut up your scraps in a variety of shapes. No need to be perfect, just randomly cut some shapes! Make sure that no pieces are smaller than 3 inches for younger babies, which could pose a choking hazard. 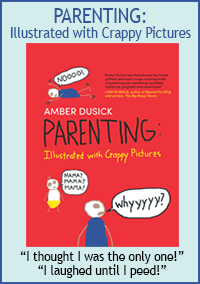 Also try to avoid very sharp or delicate corners as they are more likely to hurt a smaller child or even break. Round all the edges (this is by far the most labor intensive part of making your own wooden building blocks) by using a sander or hand sanding. I use a power sander to sand the sharp edges down and then hand sand with a fine grit paper to finish. Finally, you can seal them with a variety of finishes that leaves them plain and shows the beauty of the wood grain. 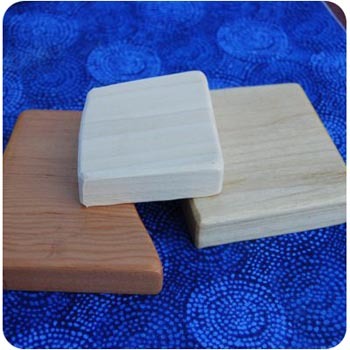 Here is a list of natural wood finishes for wooden building blocks to give you some ideas. If you plan to use natural finishes, consider using a variety of woods that have different tones and grains. If color is your thing, you can certainly take the time to paint them too! Here is a list of paints to use on wood toys for more ideas and inspiration. Enjoy making a set that children will love for generations to come! You can start with a small set and continue to build it up as you have time. 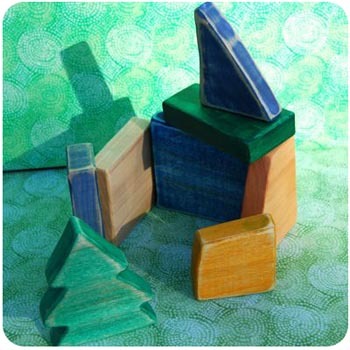 Back to the top of the Make Wooden Building Blocks page.